Was 2015 a vintage year for computer games? That's debatable, but what's for certain is that we've been treated to a wide range of enjoyable titles across practically every conceivable genre. 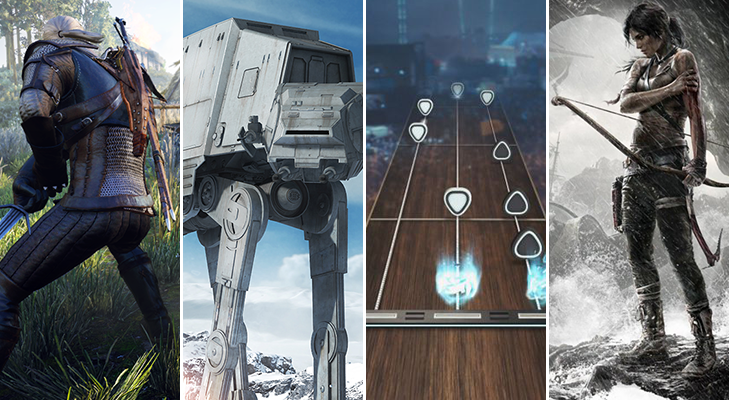 Whether you're a fan of racers, first-person shooters or music rhythm games, the industry's had an answer. So with the year quickly drawing to a close, we reckon now's a good time to look back and ask: what were the best video games of 2015? Let us know your top picks, and on which platform, using the comments facility below. I've been focusing a lot more on single player games this year - my personal favourites are Fallout 4 and Witcher 3; even though I do think that Fallout: New Vegas had a better story. The Witcher 3 is a beautiful game, my PC can just about handle maximum settings except for HairWorks - which kills my FPS. I have enjoyed a few different games this year, mainly though it has been grabbing stuff that came out llast year at reduced prices, CoD Advanced Warfare got me back into CoD, I have been loving Farcry 4 which I only got a few weeks back and I keep going back to stuff like AC Unity, Wolfenstein (New Order & Old Blood) and a few others. Bloodborne has definitely been a highlight for me this year, must admit found it a bit easier to get to grips with that the souls games with great fast combat and an awesome twisted steampunk type setting. My absolute favorite this year has been Tales of Zestiria (PS4 version), an awesome JRPG with some great humor and it is just so playable and enjoyable. I have laughed hard (so has my wife) at some of the cutscenes, likeable characters and everything about it just stands out for me. Maybe feel this way about it as normally play the Final Fantasy games (Tales of previously I think was on SNES for me), I love the live combat rather than the active time type battles on FF where you take turns hitting each other.